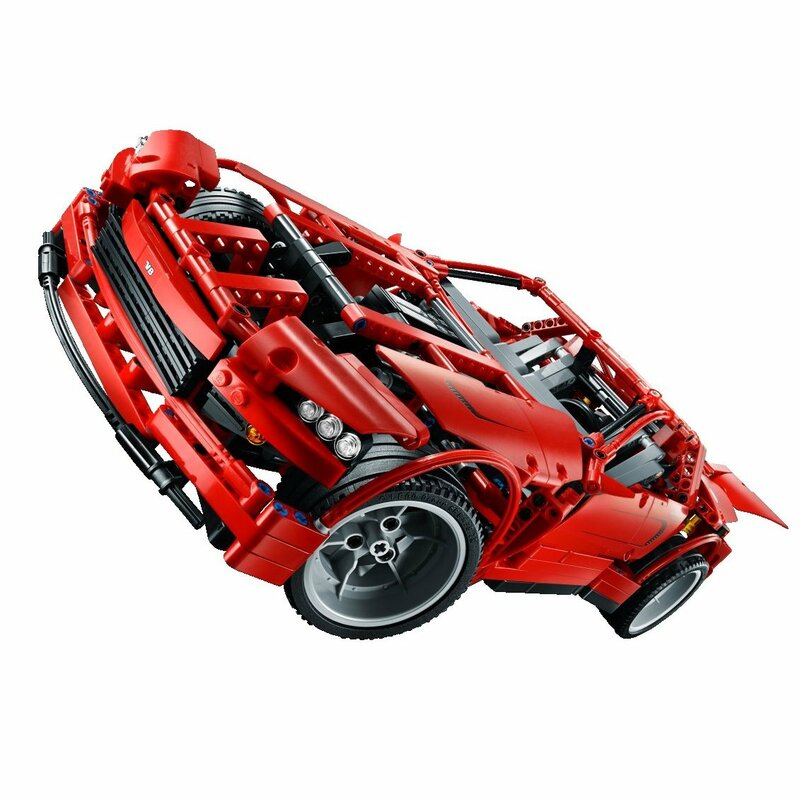 Live images of the 8070 Supercar have started appearing. 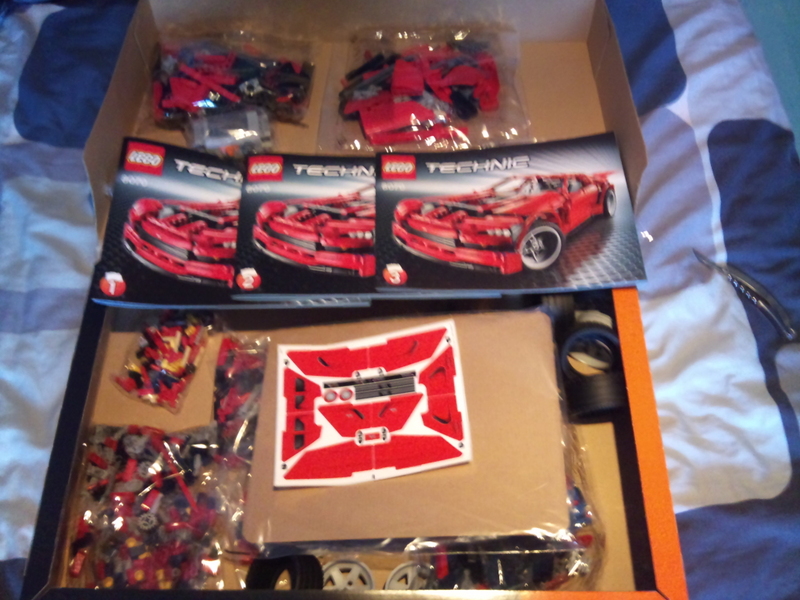 Eurobricks users "junglistjoey" and "patey" have bought Supercars and shared some new photos of the set's box, parts, and inventory. 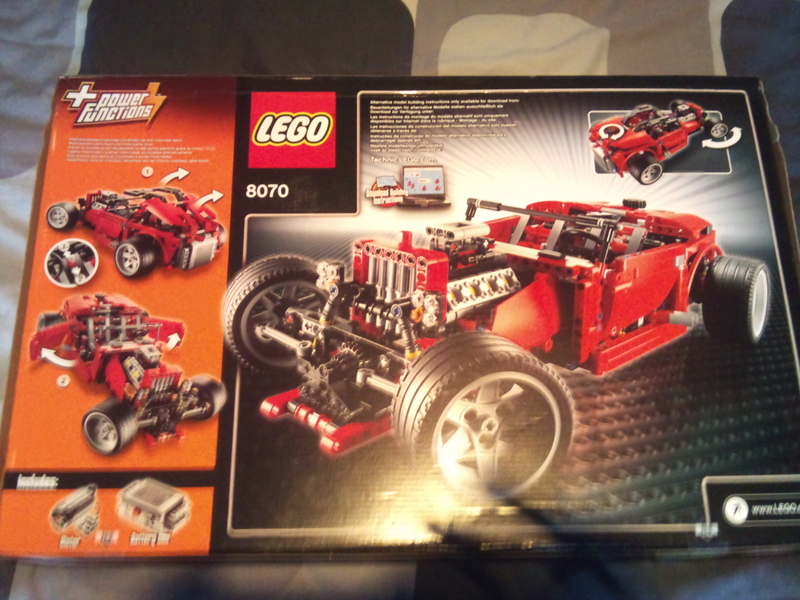 We can now see that the B-model instructions aren't included in the box and instead must be downloaded from the Technic site, and what the Hot Rod B-model does. As we already knew, it has steering, suspension, a V-8 engine, and opening "suicide doors". From the back of the box, we can now see the doors, like on the A-model, are opened by the Power Functions motor (although both at the same time, not individually). Also, the main novelty is that it also has a motorised convertible roof, actuated by the same motor. The two functions are switched from a lever by the steering wheel. 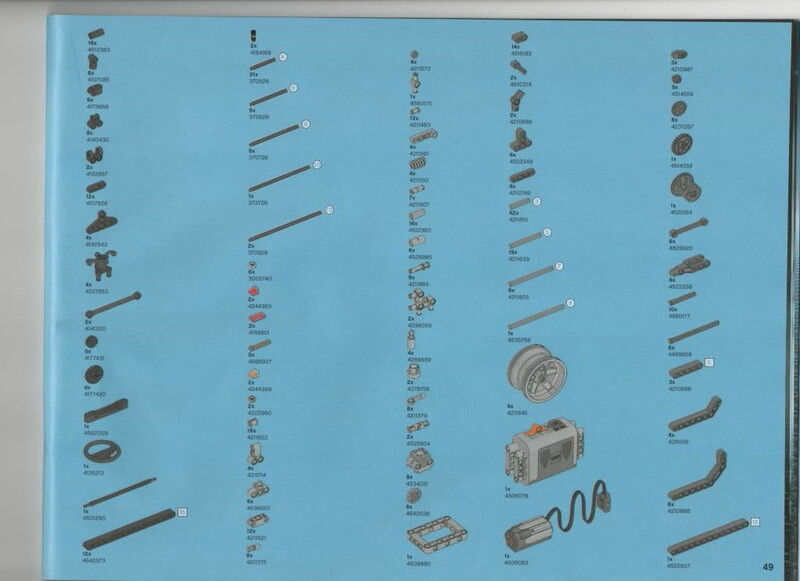 From what I could see, the inventory doesn't include any relevant new parts. I was kind of hoping mLAs would be used for some of the mechanisms, but it appears they were achieved using only "traditional" construction methods. It appears to be designed to fit on the existing CV Joint. Maybe it's a simpler/cheaper alternative to the Steering Arm with 4 Ball Joints, for suspension assemblies where steering is not needed. 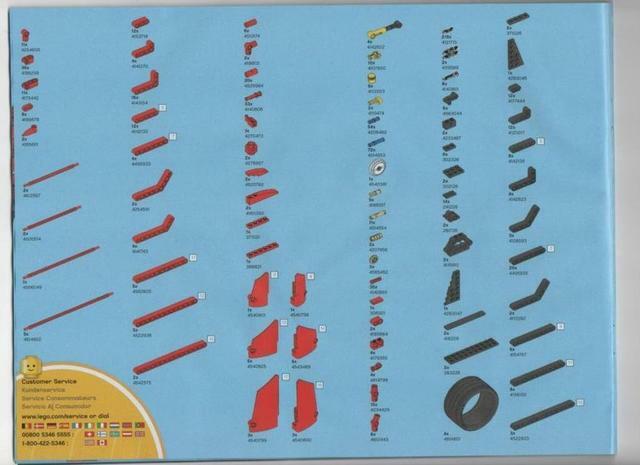 But the set already comes with four Steering Arms with 4 Ball Joints, one for each wheel, as well as four CV Joints... so where is this part used in? The only explanation I see is that either the A-model uses one kind of suspension assembly, and the B-model uses the other. Not much time left before this beauty reaches all hands that are waiting for it! That new part goes into the rear differential. 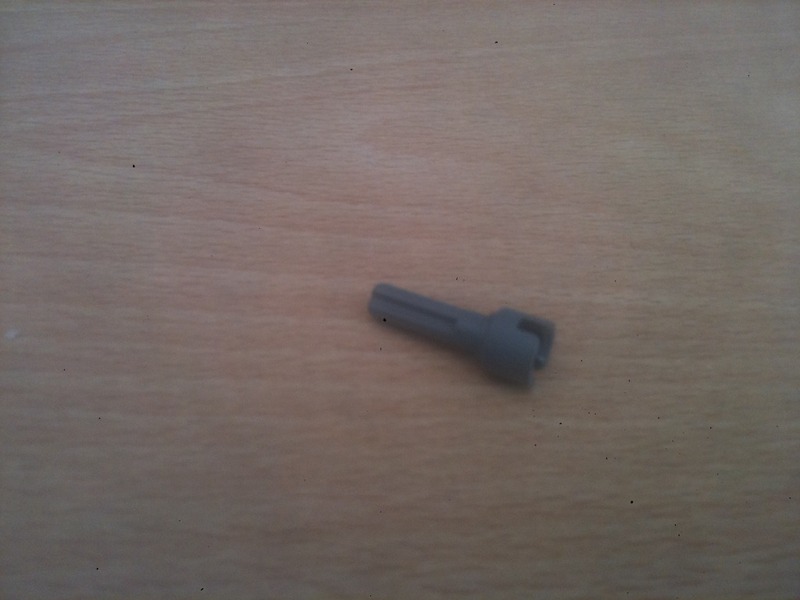 The new part has nothing to do with reducing cost. It replaces a U-joint on suspended driven wheels. Now the engine spins at a velocity constant with the sum of the two rear wheels' velocity. This part brings no extra functional value, nor reduced cost, just mechanical realism. 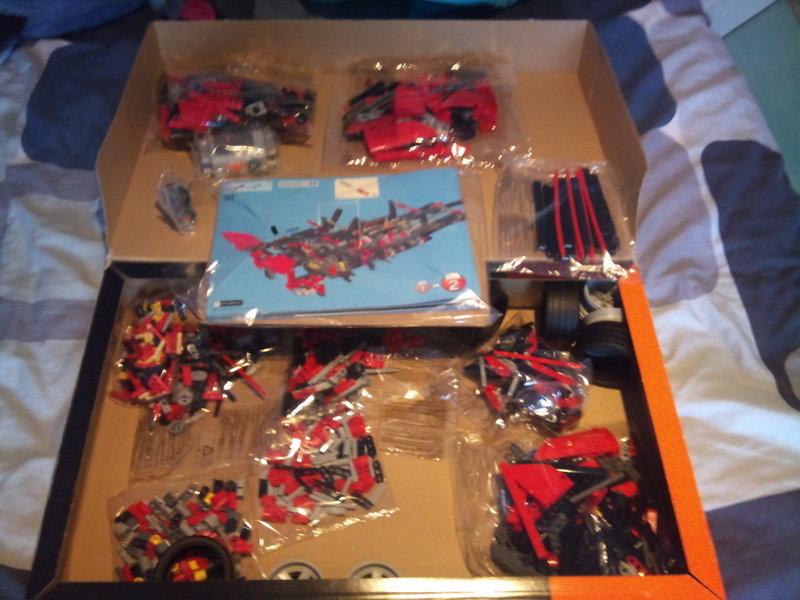 Maybe that new piece as someting to do with that part :http://www.bricklink.com/catalogItemPic.asp?P=bb75. What this piece is actually doing is creating the pivot point at the exact spot where the upper and lower arms move at instead of adding an extra stud that the 3length universal joint does. And it is doing all of this without adding any extra width to the entire axle assembly. 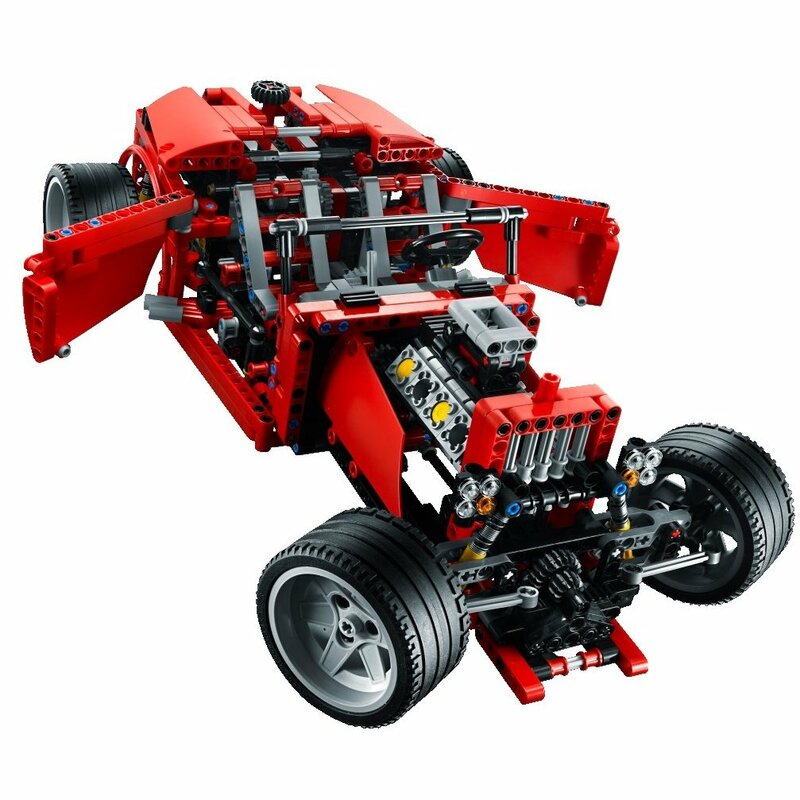 I just hope that more sets both Technic and Non Technic incorporate this new part somehow, otherwise these are going to be even more expensive to get than a CV joint. I REALLY wish this part existed a few years ago when the new redesigned steering arms came out in the 8297. "What this piece is actually doing is creating the pivot point at the exact spot where the upper and lower arms move at instead of adding an extra stud that the 3length universal joint does. And it is doing all of this without adding any extra width to the entire axle assembly." Is it to create a hype/buzz around a model? Perhaps this UK store broke the street date? the answer to your question in the post, is that this is a 2WD car, so there are only two CV Joints used with the rear wheel hubs, leaving the other two, to connect with the new 'CV Joint Axles'.